Tri-Bridges are 3-way bridges on which traffic crosses two water streams or a body of water/lake from 3 directions and one can travel from any direction to any direction. There are not many such bridges in the World. In 2009 I started searching for such bridges around the World and could find only a dozen such bridges which were included in the post - Tri-bridges Around the World. 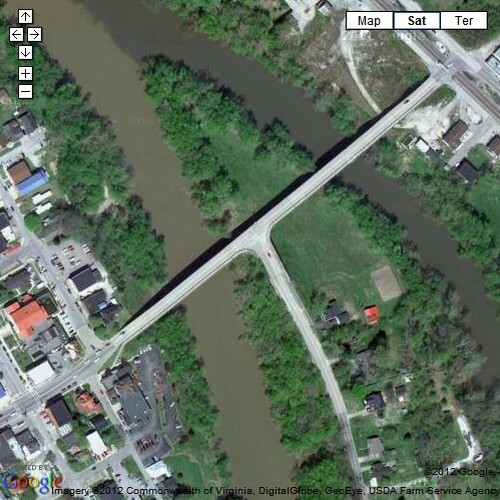 Recently one of my reader (vldecker) sent me a link about another such bridge in Louisa, KY, USA. 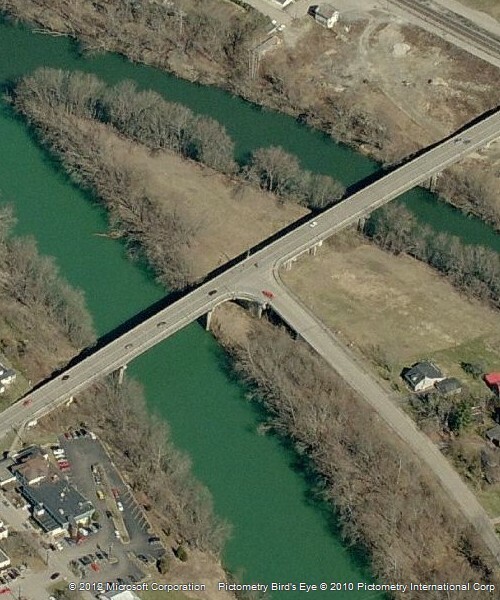 The Louisa Louisa/Fort Gay Tri-Bridge at the confluence of Levisa and Tug Rivers is a T-shaped bridge. 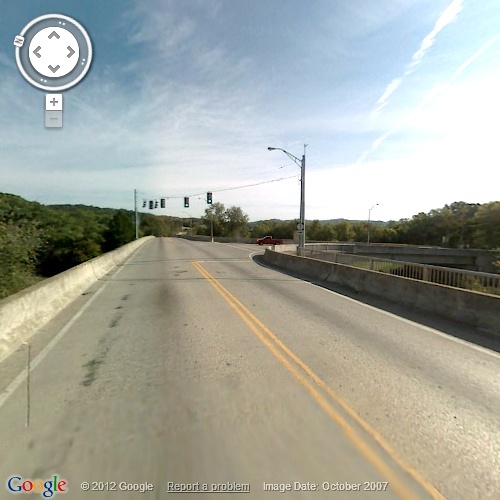 Opened in 1906, it is reportedly the only bridge in the U.S.A which not only spans two rivers but also connects two states (Kentucky and West Virginia), two counties (Lawrence County, Kentucky and Wayne County, West Virginia), and two cities (Louisa, Kentucky, and Fort Gay, West Virginia). Credits: I am grateful to reader vldecker whose comments on my post brought this to my knowledge. I had missed this more than a century old bridge in my collection. Thank you vldecker.